A panel in Park City on Monday told stories of the 2002 Winter Olympics and discussed the prospects of a bid for a second Games. The panelists included people who held important roles in the Games of 2002 or would be expected to be heavily involved in another bid. 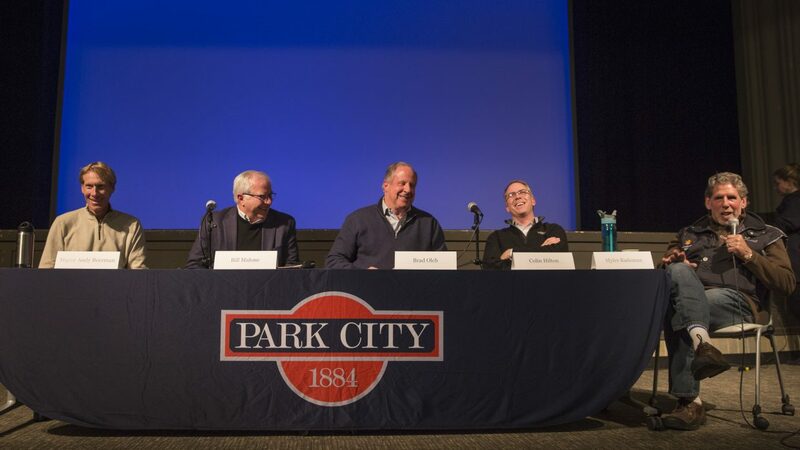 From left: Mayor Andy Beerman, Bill Malone, who is the president and CEO of the Park City Chamber/Bureau, former Mayor Brad Olch, Colin Hilton, who worked for the Olympic organizing committee in 2002, and Myles Rademan, a former City Hall staffer who was one of the municipal government’s lead organizers in 2002. If the Winter Olympics return to Salt Lake City, there would be athletes on the slopes of Park City Mountain Resort and Deer Valley Resort as well as the bobsled track and ski jumps of the Utah Olympic Park. 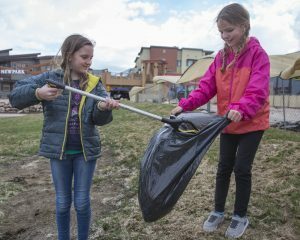 A member of the Olympic Exploratory Committee, the group considering whether a bid should be mounted for a second Olympics, told a crowd in Park City on Monday night each of the venues that hosted events during the 2002 Winter Olympics want to be part of the program in a future Games. Colin Hilton, the president and CEO of the Utah Olympic Legacy Foundation, an organization that now manages some of the Games venues, made the comments during a gathering at the Santy Auditorium at the Park City Library centered on Park City’s Olympic legacy, the possibility of another Games and the upcoming Olympics in South Korea. Hilton is an important figure in the state Olympic efforts and was a high-ranking staffer in the organizing committee for the Games in 2002. Hilton said the Olympic Exploratory Committee secured signed letters from each of the venues from 2002 signaling their interest in hosting competitions in another Games. 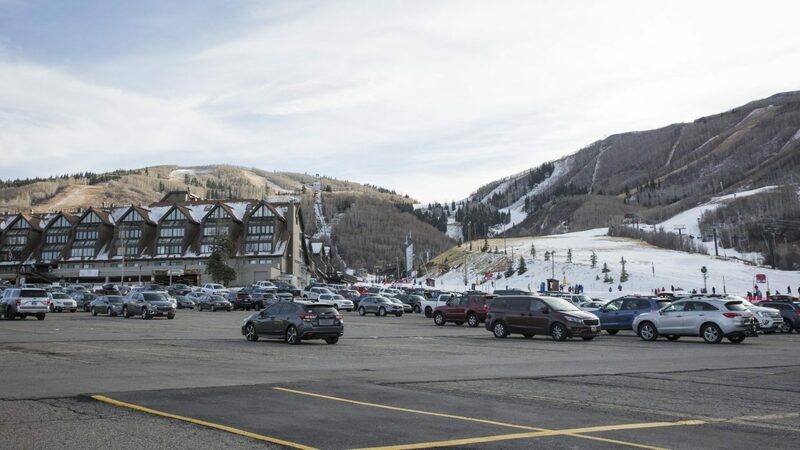 There did not appear to be resistance at PCMR and Deer Valley Resort regarding hosting events in a second Olympics, but Hilton’s statement was important nonetheless since it provided an official acknowledgment that Park City’s role in a potential bid package would be consequential, as it was as when the Games in 2002 were secured. The Park City area hosted approximately half of the competitions during the earlier Olympics. Hilton, though, declined to provide details in an interview after the gathering. He did not discuss details about which of the resorts are under consideration for individual events. He also declined to discuss whether other potential skiing and snowboarding venues are under consideration. It is likely those sorts of details will not be available until well after a decision is made about pursuing a bid. The event on Monday drew a mixed crowd of people who were in Park City for the Olympics and newer arrivals. It was held during an important Olympic week as a critical meeting of the Olympic Exploratory Committee is slated on Wednesday followed by the opening ceremonies in South Korea on Friday. The Olympic Exploratory Committee on Wednesday is anticipated to cast a vote about whether to continue with a bid should the United States Olympic Committee submit an American city for consideration for a Winter Olympics. A bid could be made for the Games in 2026 or 2030. Hilton said the focus is 2030. He cautioned that another Olympics, though, cannot be a “redo of 2002.” Hilton described that the organizers of a second Olympics must consider ways to align the Games with the visions of the communities where the event would be staged. Hilton was part of a panel of figures with important roles in the Olympic efforts. Mayor Andy Beerman is a member of the Olympic Exploratory Committee and is expected to be heavily involved in any bidding, Brad Olch was the mayor during the successful bidding for the Games in 2002 as well as City Hall’s preparations for the Olympics, while Bill Malone, the president and CEO of the Park City Chamber/Bureau, was a leader as Park City’s tourism industry boomed after the Games. Myles Rademan, the former public affairs director at City Hall and one of the municipal government’s key Olympic staffers, led a slideshow discussion of the 2002 Olympic era. The panelists shared stories of the Games as they fondly recalled various points in the bidding, the planning and the Olympics themselves. Olch said an Olympics is a special event that provides opportunities for federal assistance with infrastructure funding. 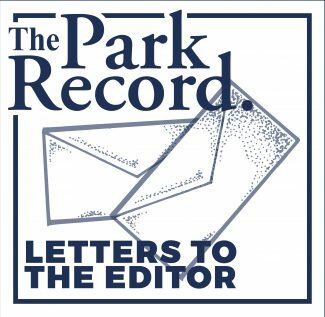 Park City, he said, received grant monies for the Old Town roundabout and telecommunications in the years before the Olympics in 2002. He hoped federal funds would be available for transit between Park City and the Salt Lake Valley if the state stages another Olympics. “There’s nothing like an Olympic Games,” Olch said as he summarized his comments. Beerman told the crowd he was skeptical the Games in 2002 would be successful but he is grateful he remained in Park City during the 17-day event. He talked about the nightly fireworks and the international crowds that arrived in Park City. 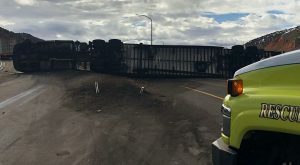 • Hilton recalling that the organizers in 2002 were worried about the crowds walking up the hill to the Utah Olympic Park and created a so-called ‘Gold-medal Mile’ with pins commemorating the route. He said 85 percent of the crowds at the venue walked the route. • Rademan remembering serving as the public-information officer for City Hall during the Olympics as reporters swarmed to the scenes of possible bomb threats when bags were left unattended. A robot set off controlled explosions in those cases. 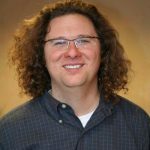 • Beerman saying Park City can do more to celebrate the Olympic heritage. He said, as an example, there are not signs that Park City hosted an Olympics on Main Street. • Malone contending the Olympics resulted in Park City becoming more prominent internationally. He said the percentage of skiers visiting Park City from abroad has risen sharply since the Games. • Olch saying traveling to Budapest, Hungary, in 1995 for the International Olympic Committee’s selection of the host city for 2002 was a highlight of his life.